WARNING: This product can expose you to chemicals including Cadmium, which is known to the State of California to cause cancer, and Cadmium, which is known to cause birth defects or other reproductive harm. For more information go to www.P65Warnings.ca.gov. 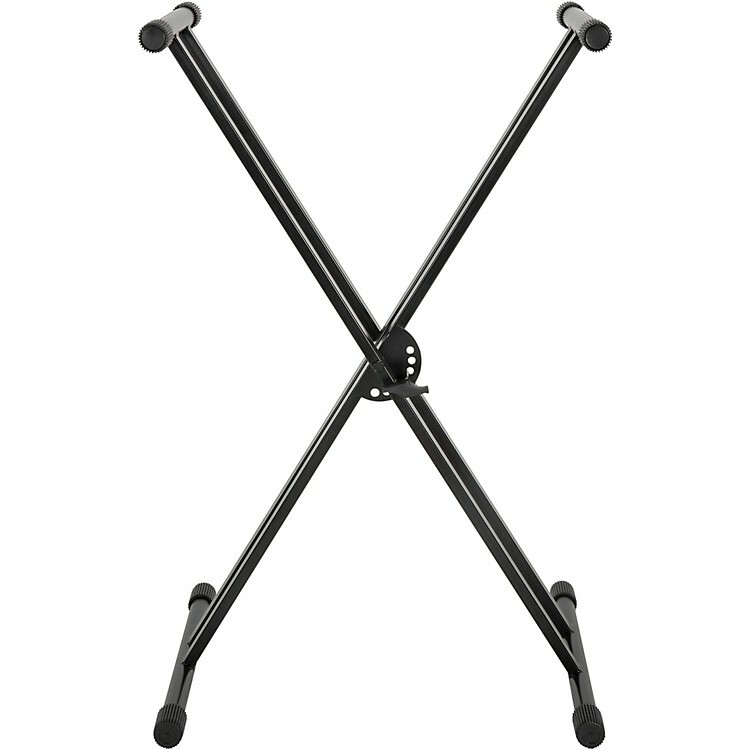 The Musician’s Gear KBX2 Double-Braced Keyboard Stand can support medium-weight keyboards plus MIDI controllers and much more. Six height adjustment settings allow to you achieve the most comfortable placement for optimal performance on stage and in the studio. And its spring-loaded handle offers quick, on-the-fly changes. Made with heavy-duty steel construction and non-slip rubber end caps so your instrument stays where you put it. Travel Dimensions (LxW): 40 x 19.5 in. Keyboard arms (W): 15.5 in. Foot bars (W): 19.5 in. 1. 38.5 x 9.25 in. 2. 36.25 x 16 in.